Everyone knows the sad tale of Borders Group. It failed to see the world changing and did not adapt to the Internet age, so the successful company quickly failed. But while the story of Borders Group is well know, I do not believe the lessons of the company's history are understood. It may be a well-known tale, but it is worth revisiting 2001 with fresh eyes, because it can teach us something important about 2014. The company's mistakes occurred in the early part of the Internet era, and as we are now in the early days of the collaborative economy era, it is the perfect time to reconsider Borders' story and learn from it. Borders' leaders lacked the foresight of their peers at Amazon and even Barnes and Noble, but that isn't terribly unusual. Many of us fail to see important revolutions until it is too late. We humans are good at recognizing evolutions (no one questioned if the iPhone was an obvious improvement on the Blackberry), but we are less successful at seeing revolutions until they are upon us. In 1995 (if you are of a certain age), you heard about the “Information Superhighway” and thought, “I’ll never waste my time on the Internet.” In 2000, when some acquaintance raved about his or her first online purchase, your reaction was, “I will never trust a website with my credit card.” And in 2005, as the first “Crackberry” addicts were distractedly walking into lampposts, you promised, “I will never be that tethered to a cell phone!” It is important we recognize our recurrent inability to see revolutions in their infancy, or else we cannot explore today's prevalent (and frequently dubious) attitudes towards the fledgling collaborative revolution. When individuals fail to see the world changing before their eyes, it can have ramifications--they may disregard the effect on their careers and fail to keep their skills current. In many ways, however, people can adjust quickly once they see the benefits of innovative technologies and approaches. Many mocked the first folks with their Commodore 64s and Atari STs, but a couple years later everyone was clearing a space for a PC in their home. For business, however, the implications of failing to see the future are far more profound. A company that does not anticipate or prepare for impending threats and opportunities cannot simply retool overnight once it discovers the oversight. While we humans can overcome our inability to recognize technology revolutions with a single trip to Best Buy, companies that miss out can spend years trying to catch up. Today, there are successful companies that will become the future Borders, Kodaks and Blockbusters of the collaborative economy era, but they can no more see it than could Borders, Kodak and Blockbuster could at the dawn of the digital era. Certainly, Borders failed to see the future, but what did they miss that others did not? And why did they fail where others succeeded? The answers to these questions are essential to prepare your company as it enters yet another revolutionary business era. Sharing is no longer just for memes and selfies; increasingly, it is also for the way people acquire and use products and services. Is your company setting itself up to be the Borders or Amazon of the collaborative economy era? They key is to explore the conditions that led to Border's fatal decisions. For example, many assume that the error made by Borders was that it failed to launch ecommerce, but the company had an ecommerce operation and chose to shutter it. In May 1998, Borders launched its first online book store. Few consumers were buying online at that time, and three years later, the bookseller decided its unprofitable ecommerce operation was unnecessary to its core business of selling books in retail stores. In April 2001, the company announced an ecommerce agreement with Amazon, shuttered its own online sales function and dismissed seventy digital employees. It is easy to judge the decision in retrospect, but this deal made logical sense to many. Morningstar analyst David Kathman told E-Commerce Times, "Both companies need this" and Scott Smallman with U.S. Bancorp Piper Jaffray said, "We think it is good stuff." The reason was that Amazon (although it was losing money) was flourishing online, while Borders (although it was profitable) was failing in the digital realm. In 2001, Amazon sold $1.7 billion worth of books, music, and videos online while Borders.com sold just $27 million. Today, many seem to feel Borders' execs were merely stupid, but the company's leaders made what they thought were smart decisions that many analysts applauded. The error of their ways became evident a few short years later, but by the time Borders realized that digital business was not a sidelight but a vital revolution in the way people shop for, purchase and consume media, the opportunity had passed. Borders dissolved the partnership with Amazon in 2007 and attempted to resurrect its own online business. It was too little too late; just four years later, the company applied for Chapter 11 bankruptcy protection and began liquidating its final stores. Borders failed to see how digital wasn't just a change in marketing and communications but a change in business and consumer models: Marketers are quick to adapt to changes in consumer behavior, while product and customer service folks always lag. Marketers launched web sites and started online advertising years before their customer care peers thought of offering web-based service. And while some brands were happy to offer their traditional products for sale online in their "web store," few companies considered how digital distribution would fundamentally alter the products themselves. Borders saw the web as a marketing and sales channel; Amazon saw it a new way to distribute and consume media. In social media, marketers were able to find money to invest in social media while their peers in customer care acted like it was an insurmountable challenge to find the budget for customer care in the same channel. (Even now, companies like Spirit Airlines are opting for auto-bots in social media because "a social media team costs money." Damn those needy customers, expecting us to pay salaries for people to answer their annoying questions!) Today's collaborative companies don't see social as just a communications channel or an expense but a significant shift in consumer behavior. Collaborative Economy Lesson: Social will change business itself, not just marketing. Is your company like Borders, seeing social primarily as a channel for acquisition and reputation? Or is your company Amazon, thinking of social for new ways to collaborate with consumers on product development, encourage peer-to-peer consumption to otherwise empower your customers? If you aren't thinking of new P2P and collaborative business models, rest assured someone else is! Borders failed to understand that digital benefits would be embraced by the mainstream. In 2001, it was easy for Borders to see the web as something not well aligned to its audience. A year before, Pew found that 61% of 18- to 29-year-olds were using the Internet compared to just 12% of those over 65. Since book buying typically skews a bit older, it seemed the Internet was a weak opportunity for Borders. Making it even more difficult to see the digital future was that the dot-com bubble had burst in 2000 and was still deflating in 2001, giving momentary encouragement to those who still claimed the Internet was a fad, not a serious trend. How times have changed. Digital businesses are now at the top of the Fortune 500 (with Apple, Microsoft, Hewlett-Packard, Google and Amazon among the 50 largest firms in the nation.) Generational gaps still exist but are nowhere near as pronounced as they once were; in 2013, Pew reported that 59% of seniors go online. In the course of 13 years, the percentage of seniors online skyrocketed nearly 400%. Collaborative Economy Lesson: (Almost) everyone will adopt collaborative business concepts in the years to come. It is by now a familiar trend that has been repeated with online adoption, ecommerce, mobile adoption and social networking: New behaviors are introduced, tested and adopted by younger consumers, and once the benefits are clear and risks are minimized, older folks follow. Today, is your company looking at Lyft, TaskRabbit and Uber as something better aligned to younger people, or are you thinking like Amazon and foreseeing the demographics for collaborative behaviors broadening rapidly? Borders underestimated the importance of small changes: There is a sad tendency to think that business models are stable and can be undermined only with profound changes in the market. Perhaps that was once the case, but the pace and hyper-competitiveness of today's business world means that even small changes in the environment matter. In 2001, online retail was a mere one percent of total retail sales in the US, so it was easy for Borders to dismiss ecommerce as a distraction. But even today--after ecommerce has upended several well-known retailers and is challenging the survival of malls--the percentage of US retail that occurs online is just 6.2%. That's it--just one of every 16 retail dollars are spent online, and that has been enough to create a painful metamorphosis in retail, not just for Border's but the entire industry. In the last ten years, the stock prices of Barnes and Noble, Sears and JCPenney are down 35% to 75% while the Dow has risen 67%. Collaborative Economy Lesson: A small shift away from traditional ownership and towards collaborative models can have a significant impact on your company's financial outcomes. Look at the profit margin for your firm. What would a change of three or four points in your revenue mean to your bottom line? For many industries, that is the difference between profitability and failure. Borders saw ecommerce as a small and minor trend that could be farmed out to a third party rather than a significant business revolution that should affect business decisions across the enterprise. Is your firm considering the collaborative economy in one tiny corner of the enterprise, or do your leaders see it as a major trend that will impact the development and delivery of your products and services? Borders focused on short-term profitability rather than investing for the future: Who can blame a company for jettisoning an unprofitable venture? After all, every publicly held company must furnish quarterly financial improvements or suffer the wrath of investors and analysts. Certainly, that was what Borders thought. It was losing money on ecommerce, and at the time, so was everyone else. Even Amazon was hemorrhaging cash--close to $3 billion of losses in the first five years after its 1997 IPO. By ignoring the cash-draining money pit of ecommerce, Borders kept their income statement looking good for another five years, with consistent profitability through 2006. The Street wasn't rewarding Borders with better stock prices, but neither did the company's shares suffer like that of so many dot-com firms. Everyone was reasonably happy--until 2007 when the wheels came off. 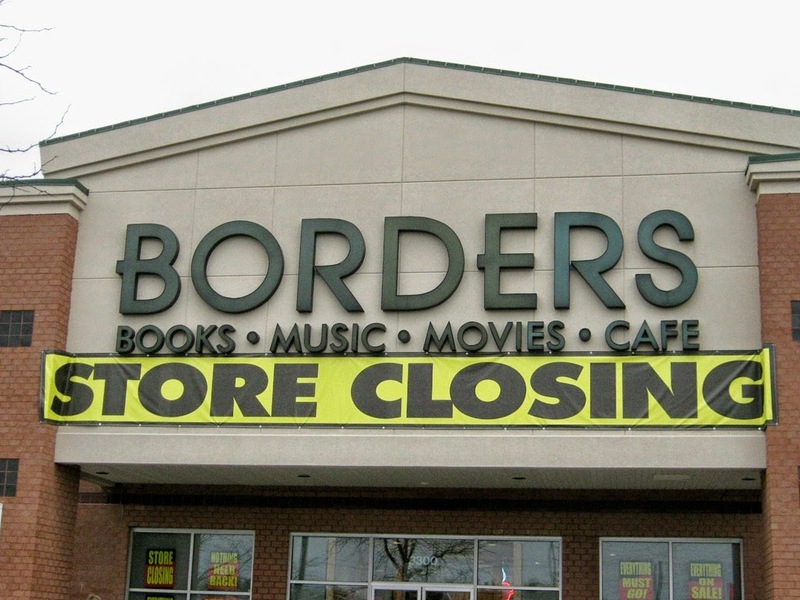 Borders could no longer deliver revenue and margin due to its reliance on an increasingly threatened distribution model, and the company and its stock price never recovered. Meanwhile, Amazon thrived--it's stock is up an incredible 3,067% since it signed the deal with Borders. Today, Amazon is repeating its history, making decisions that diminish current performance in the hope of strong financial rewards in the future; the company is warning the market to expect deep losses this year as it attempts to launch the Fire Phone against mobile leaders Apple and Google. Are today's collaborative startups subject to the same financial challenges as the dot-com startups of fifteen years ago? Some say no--the buzz is that many of the collaborative startups are turning early profits, but we ought to be cautious with such claims. Thus far, many collaborative startups have ignored such niggling details as tax collection and regulation. In the last two years, Airbnb, Lyft, Uber and others have begun to work through the maze of regulations, legal requirements and tax issues, and it may take many years to work out a set of stable and legal business models that can be applied in every state and locale. 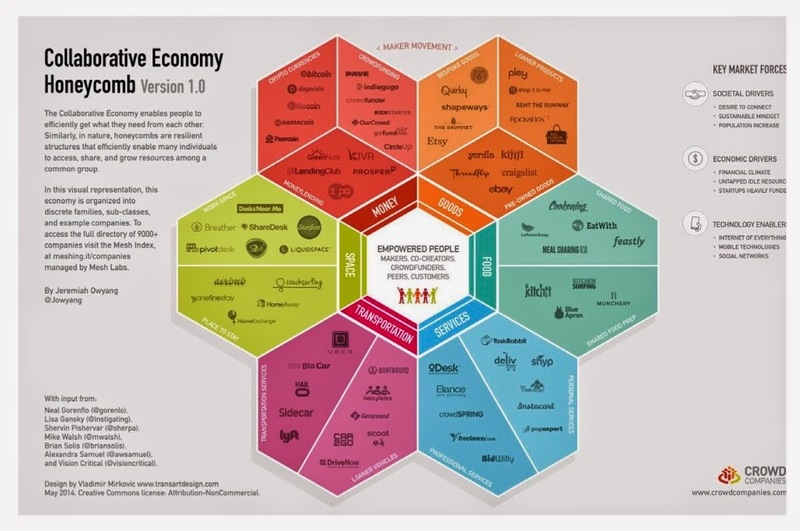 Collaborative Economy Lesson: Gaining an understanding of the new forms of collaborative commerce will not be easy or provide an immediate return, but the time is now to begin making smart investments. Companies cannot build a future simply by focusing on efficiency, productivity and cost containment; they also must invest in the future. The unwillingness to cannibalize one's own business model is a serious problem in today's fast-paced quarter-to-quarter world, because if companies won't challenge their own business, someone else will. Significant changes are coming, and firms unwilling to explore alternative business models will suffer consequences. Now is a time to make strategic investments and experiment with innovative collaborative business models. For a host of reasons, Borders’ leaders made decisions that set in motion the problems that would swamp the company just ten years later. These leaders were not dumb, but they were mistaken. There are lessons for today’s organizations in Borders’ journey from profitable $4 billion, 1,200-store business to extinction. The company made mistakes in the early days of the Internet revolution, and it was unprepared for the growth in online behaviors, the evolution of new digital business models and the maturing of a generation of digital natives. Today, we are in the early stages of a collaborative revolution, where consumers’ expanding sharing habits, the adoption of social and mobile business models and the coming of age of a generation of “social natives” converge to change the rules of business once again. Your organization does not need to transform overnight, but it must begin to experiment and evolve. Many organizations are led by executives who remain convinced in the durability of today’s revenue streams, deny that the sharing economy will alter their market and are not inclined to invest a share of today’s profitability to test and gain experience in new business models. This means that today there are confident, stable and profitable companies that will become the Borders of the next two decades—they just will not recognize it until it is too late. Fantastic blog and you are right on mark as usual.